The midfielder has just five months remaining on his existing deal with Les Parisiens and his reluctance to pen an extension has witnessed him dropped to the reserve squad. As such, he has been tipped to pursue a fresh challenge before the end of the month but Paris United claims that the Frenchman is unlikely to make the move to north London with Spurs. It is added that the midfielder harbours the ambition of playing for Liverpool instead, although it is unclear whether Jurgen Klopp's side will make an attempt to sign him this month. 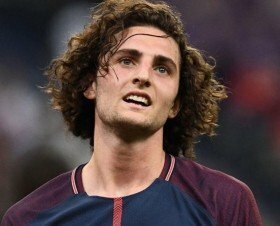 Rabiot has not featured for the French champions over the past month and his most recent appearance came against Red Star Belgrade in the final group stage game of the Champions League.